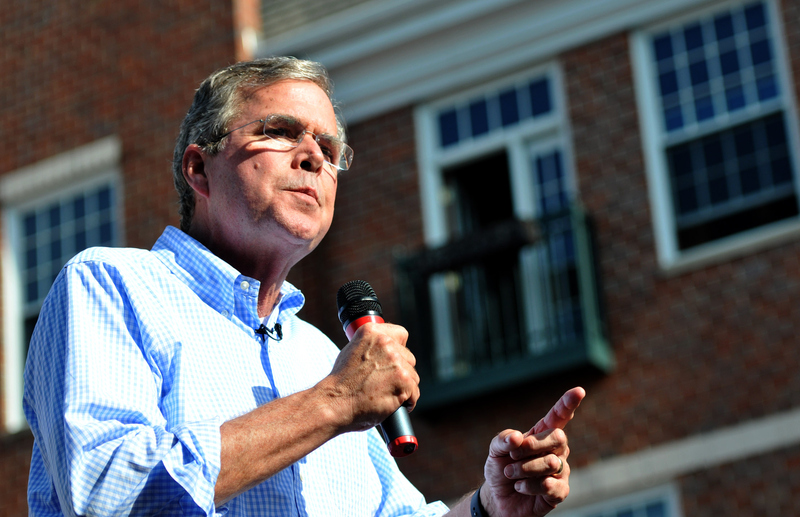 Republican presidential candidate Jeb Bush cancelled Thursday's South Carolina event after a mass shooting in Charleston shook the city late Wednesday evening. Bush was supposed to be at the Charleston Maritime Center for a town hall with veterans but cancelled after the shooting Wednesday night at Emanuel church that left nine people dead. "Due to the tragic events unfolding in South Carolina tonight, Governor Bush is canceling tomorrow's events in Charleston," Jeb Bush spokeswoman Allie Brandenburger said in an email. "Governor Bush's thoughts and prayers are with the individuals and families affected by this tragedy." Charleston's mayor and police chief declared the shooting a "hate crime," and the Justice Department, along with the FBI and the U.S. Attorney's office for the District of South Carolina, are opening a hate crime investigation into the shooting. Hillary Clinton had spent the day Wednesday in South Carolina and was attending a fundraiser at a home less than a mile from the church just hours before the shooting. In a tweet, she called the news of the shooting "heartbreaking." NAACP president: Charleston mass shooting is "morally incomprehensible"
Sen. Lindsey Graham, R-South Carolina, who declared his presidential candidacy earlier this month, appeared on ABC's "The View" Thursday, where he told the show that his niece had gone to school with the suspect, who has been identified as Dylann Roof. Graham will return to South Carolina after the show, and he's cancelled his campaign events this weekend. "To the families of the victims, please know that you are being prayed for and loved by so many in the community and across the nation. I pray that God will provide you healing in the coming days," Graham said in a statement Thursday morning. "There are bad people in this world who are motivated by hate. Every decent person has been victimized by the hateful, callous disregard for human life shown by the individual who perpetrated these horrible acts." "This young man apparently has had a disturbed past," Graham told CBS News' Sopan Deb after his appearance on "The View." "My niece was in elementary school with him. And he's always apparently a little strange. At the end of the day, I hope they catch him and bring him to justice but my heart breaks for the people of Charleston." Graham was asked what can be done legislatively to prevent future shootings. He replied, "I bet there were some indicators early on that this guy was not quite there. Just being able to track people - put them into systems where they can be deterred or stopped. But it's very complicated in a nation of 300 million people where you have freedom of movement and freedom of thought. 300 million of us and unfortunately every now and then, something like this happens. And we'll see." Bush's cancellation of his South Carolina event comes after just a few official days on the trail. He had made stops in New Hampshire and Iowa, where he touted his experience in executive leadership and cited his conservative successes. In a town hall in Pella, Iowa on Wednesday, Bush said that he wasn't "trying to hide from my family" with his newly unveiled campaign logo, which features an exclamation point beside his first name, without his more famous family name. "I'm going to do it with my first name and I want people to call me my first name. Jeb," Bush told voters in Iowa when asked about the campaign branding. "I'm not trying to hide from my family." He also answered a question on the state of his family's health, commenting that George H.W. Bush "is frail but still alive." "You know when your parents get older you have to refocus. My mom is a spectacular caregiver to the greatest man alive," the 2016 contender said. "My dad is frail but still alive. Mentally he's still there and spiritually he's in a great place...and I got a darn good brother too."